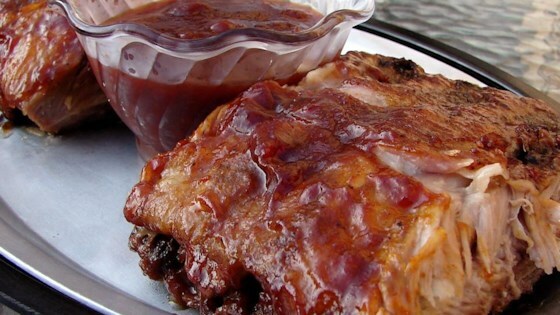 "This is a thick and spicy barbeque chicken recipe that has won several cooking contests. The sauce consists of molasses, brown sugar, tomato juice and spices all pureed together in a blender. Some may wish to cut the amount of pepper in half." In a blender or food processor, combine the ketchup, Worcestershire sauce, molasses, brown sugar, onion, garlic powder, ground black pepper, cayenne pepper, lemon juice, tomato juice, and liquid smoke flavoring. Puree until smooth, and transfer to a saucepan. Oh... my.... gosh. This is theee best bbq sauce. Everything you want in a sauce - tangy, spicy, sweet. Just terrific. Bottle this and you'll make a fortune.